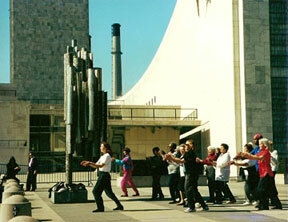 World Tai Chi Day was the founder of this global event, and then Qigong groups began to participate. Over the decades other mind-body practices joined in. WorldHealingDay.org's mission is to engage all Yoga, Meditation, Reiki, Art Healing, Music Healing, Healing Prayer, and mind-body arts teachers, groups and organizations to come together on the "last Saturday of April, 10 am local time to hold mass teach-ins and participatory group meditations. Via this organizing hub of WorldHealingDay.org, and the mass global event we organize annually in 100s of cities in over 80 nations, known as World Healing Day, we educate millions around the planet about the benefits of mind-body practices, and the emerging medical research on these practices. Together we have exposed over ONE BILLION potential readers/viewers of mass media to mind-body practices. 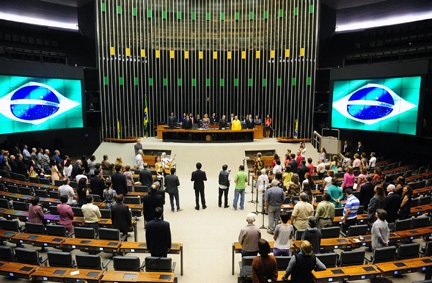 World Healing Day events include: World Yoga Day; World Reiki Day; World Healing Meditation Day; World Art Day; World Music Healing Day; and the founding event, World Tai Chi & Qigong Day has been officially proclaimed, recognized, or supported by 22 US Governors; Senates of Puerto Rico, California, New York; the Brazilian National Congress; by consulates and embassies from Italy to the U.S., China to India, and by government ministries and bodies in countries worldwide. Events have been held at the United Nations Building and the Nobel Peace Center. We seek to connect human consciousness in attuned states for a 24 hour period each year, focusing on personal and global health and healing (see science below on what physical impact this can have on the world, under "Purposes of World Healing Day). Organizing the annual event of World Healing Day is only one of the myriad things we do to aid enthusiasts, teachers & organizations in promoting mind-body practices usage worldwide--at all levels of society--to save society hundreds of billions of dollars in health cost saving, court, police, and penal rehab. costs, etc. On the "last Saturday of April" each year we bring people together around the planet, with events held in 100s of cities in over 80 nations to promote personal and global health & healing. This event's motto is "One World ... One Breath." Why should we Share mind-body practices with the world? Organizing the annual event of World Healing Day is only one of the myriad things we do to aid enthusiasts, teachers & organizations in promoting mind-body practices usage worldwide--at all levels of society--to save society hundreds of billions of dollars in health cost saving, court, police, and penal rehab. costs, etc. World Healing Day's founding event, WorldTaiChiDay.org, offers a FREE Ezine Email Newsletter "All Things Tai Chi & Qigong" which connects those curious about Tai Chi and mind-body practices, enthusiasts of these arts (of all styles), teachers, schools, and organizations in 80 nations worldwide. This free Ezine offers articles from some of the top experts in the world on Tai Chi and Qigong, helpful learning/teaching tips, breaking medical research on Tai Chi and Qigong, and much more. Click the "Join Our Newsletter" link at the top of the page to start receiving YOUR free subscription. (Your email will NEVER be shared). WTCQD's founders began to create prototype programs to expand use of mind-body practices at all levels of society. Today they give away tips and instructions for free to mind-body arts teachers worldwide via WorldTaiChiDay.org and its free globally read weekly Ezine email magazine newsletters. WTCQD founders pioneered teaching in preschools through high school and university levels in health science classes (and for Special Education programs); presenting on mind-body benefits in some of the world's largest corporations; teaching in churches and places of worship (and did a presentation for the National Catholic Youth Conference); teaching in senior centers and care facilities; and in some of the world's largest health networks and institutions; and began teaching in drug and penal rehabilitation institutions. WHY DOES WORLDHEALINGDAY.ORG and WORLDTAICHIDAY.ORG GIVE ALL THIS AWAY FOR FREE? WorldTaiChiDay.org's newsletters share "how to tips" so mind-body teachers worldwide can replicate this, and thereby create calmer, healthier, and clearer world. 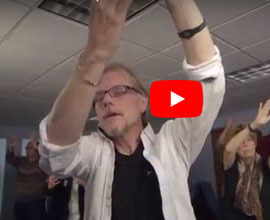 We participated in a program with the National Council on Aging, several universities, and the United States YMCA to educate them on mind-body practices and to create opportunities for teachers all across the nation. Expanding Tai Chi & Qigong into society at all levels locally wasn't enough for us, because when we saw the benefits these tools offer ALL people who are exposed to them ... we just had to help other mind-body enthusiasts, teachers and schools to be more empowered to have the same impact in their local communities worldwide, by sharing step-by-step guides to give away all our experience to teachers around the world ... and the result ... a calmer, clearer, kinder, and healthier world. WTCQD's Founders work to empower teachers worldwide to launch similar programs, and to expand mind-body practices use into education, corporate wellness, penal rehabilitation and society at all levels. Bill and Angela have worked for 2 decades promoting teachers and groups worldwide, and empowering them to expand mind-body practices into modern healthcare, corporate wellness, education, penal rehabilitation, etc. WorldTaiChiDay.org's founder has presented at Folsom Maximum Security Prison, for the American Heart Association; the National Parkinson's Foundation; and the National Council on Aging. and has been a Tai Chi source for The New York Times; Wall Street Journal; BBC Radio; Prevention Magazine; and media worldwide. 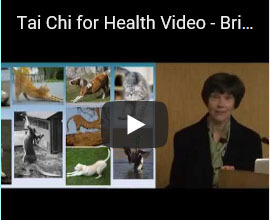 World Healing Day offers a vast array of free resources to help spread these health tools worldwide through www.WorldTaiChiDay.org, and WorldHealingDay.org. Our reward? A healthier, calmer nation and planet to live in. World Healing Day occurs each year because tens of thousands worldwide share a common vision of hope & healing for our planet and her people, and come together each year to organize events in over 80 nations, on the last Saturday of April at 10 am local time worldwide. 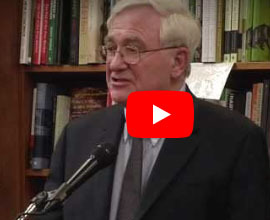 2) To bring together people across racial, economic, religious, and geo-political boundaries, to join together for the purpose of health and healing, providing an example to the world. 3) To connect human consciousness en masse around the world for a 24 hour period each year, focusing on the vision of personal and global health & healing. Scientific research shows that when human consciousness focuses on a singular event worldwide, it actually physically affects the world, as seen in research by the Global Consciousness Project. Research by the TM Foundation in collaboration with universities and the Washington D.C. crime statistics division, found that when a certain threshold of meditators meditated en masse they actually saw a corresponding drop in violent crimes rates (HRA rates, homicides, rapes, and assaults), dropping in conjunction with a rise in the number of meditators. This inspired us to provide a formal day of global meditation involving all the sister events mentioned above, to amplify a physical effect of mind-body practices of all types joining together for this 24 hour periiod each year to focus on personal and global health and healing, and human connection worldwide, reflected in our event's motto "One World ... One Breath." 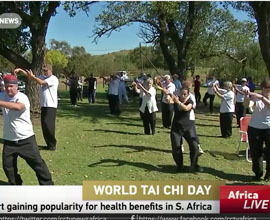 World Healing Day grew spontaneously out of its founding event, World Tai Chi & Qigong Day, when World Tai Chi & Qigong Day event organizers in many nations began to include teachers, organizations, and groups of variuos mind-body arts, including Yoga groups and teachers, Meditation, Reiki, and the Cairo, Egypt WTCQD organizers began to include Sufi Dancers in their event, as well as Meditation groups and teachers, and the Perth, Australia WTCQD event was opened by Aboriginal Sacred Dance and was held on Aboriginal Sacred grounds..